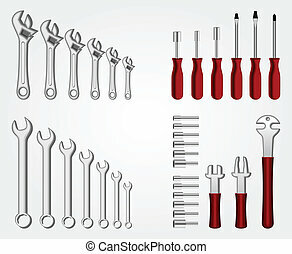 Tools icon set in black. 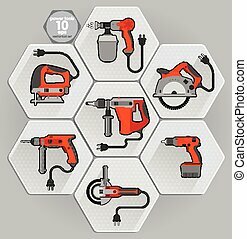 Hand tools - set of vector icons. Isolated black symbols on white background. 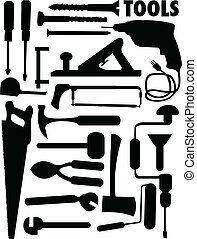 Work tools signs, pictograms. 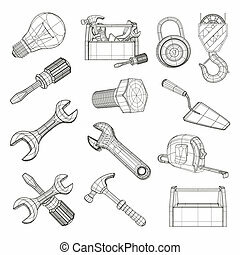 Hand tools - set of vector icons. Isolated symbols on white background. 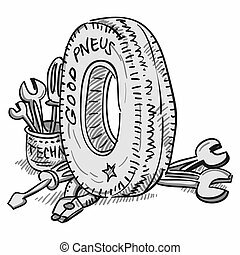 DIY tools. 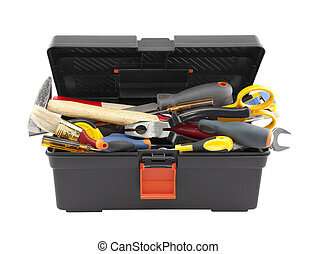 Open black toolbox with tools. Clipping path included.